Whispers in the Loggia: Good Grief: Ireland Welcomes the "Roman Missile"... But Does the "Cabal"? Good Grief: Ireland Welcomes the "Roman Missile"... But Does the "Cabal"? "Pope Benedict targets lethargy, depression and incompetence with new Roman Missile." Nice play on words, eh? That said, given the New York-born CDF man's first task at hand -- that is, shaping up a leadership whose long-set ways have plunged the Isle's vaunted church into an epochal tailspin -- it didn't take too long for reports to emerge that at least one high-level push as Éireann had been made in the hopes of blocking B16's move. "What is that saying? What sort of a cabal is this, that is in there, and still refuses to recognize what the norms of the church are? ... Now, what is it -- who are these people, and what are they trying to say? "I find myself today asking myself whether I can be proud of the church that I'm a leader of," Diarmuid Martin added, "and [with] what I'm seeing, I have to be ashamed of these things." As for the answers, meanwhile, when it comes to "What do you do?," in a word, you do this... because, as far as "the norms of the church" go, no one would know (or could stand over) them better than a two-decade veteran of the Holy Office -- and a native English-speaker, at that. As for a public welcome of said assist, however, aside from a stock announcement on the website of the Irish bishops, the customary expressions of fáilte to a new Nuncio from the local bench he inherits remain conspicuous by their absence. Perhaps they didn't have advance word... oh, wait. If anything, the most enthusiastic of public receptions seems to have come from a rather unlikely (read: ad extra) source -- the Irish Times -- which hailed the choice in a lead editorial as "welcome news... [which] reflects the seriousness of Rome’s intent to put relations between itself and this State on an altogether new footing." 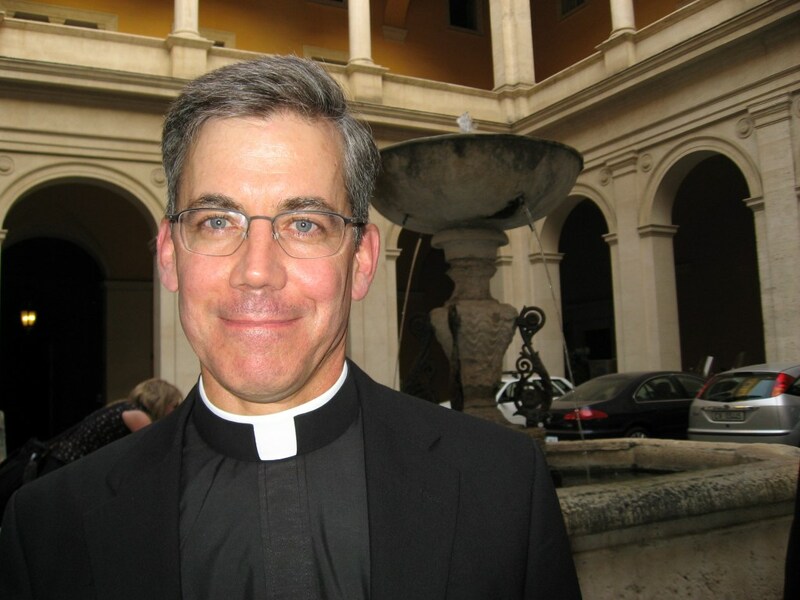 With a background "most uncommon for a papal nuncio," the paper said, the outcome "is an indication of the thought Rome has put into this appointment." Underscoring at least one angle of the above, a report received here earlier today tips Charlie Brown's ordination to the episcopacy to take place on Epiphany Day, 6 January, in Rome. Yet what's more, to emphasize beyond a doubt who is sending him, while the archbishop-elect's principal consecrator remains officially to be determined, word is that -- for just the fourth time in his nearly six-year reign -- the Pope is seriously considering reserving his cherished aide's dispatching to himself. Whoever ends up doing the honors, in an unusually quick transition, B16's hand-picked "Director" of his Irish experiment is expected to get to work at Navan Road days later.